NEED HELP with Planning or Building Regulations? Outbuildings are generally considered to be permitted development under Class E, and do not need Planning Permission, subject to a number of limits and conditions. 'The provision of any outbuilding within the curtilage of the dwelling for a purpose incidental to the enjoyment of the dwelling, or the maintenance, improvement or alteration of such building or enclosure'. You are not allowed an outbuilding which projects forward of the front elevation of the original house. 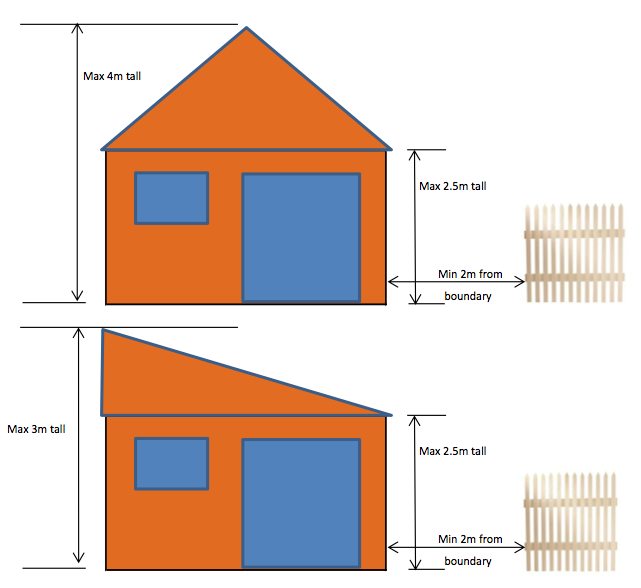 If the outbuilding is to be positioned within 2 metres of the property boundary, no part of it shall exceed 2.5 metres in height. So below 2.5m height it can be positioned as close to the boundary as is practical. No balconies or verandas are allowed on an outbuilding without Planning Permission. Decking or other raised platforms can be fitted around the outbuilding, but only up to a maximum height of 300mm. Any outbuilding must not be used as self-contained living accommodation, and must not have a TV, or Satellite type of aerial. Planning Permission will be required in these cases. Outbuildings and other additions must not take up more than half the area of land around the "original house". “Original house” means the house as it was first built, or as it was on 1st July 1948 (If built before that date). Extensions, timber sheds and all other outbuildings must be included when calculating this limit. Although you may not have built an extension, the previous owner could have done, and this needs to be included in calculating the overall limit. In Areas of Outstanding Natural Beauty such as National Parks, the Broads, Conservation Areas and World Heritage Sites, the maximum size of an outbuilding within 20 metres of the house will be limited to 10 square metres. On designated land, outbuildings at the side of the house will require planning permission. If the original building has listed status, all outbuildings will need planning permission. This guidance applies to planning regulations in England only. Policy for Scotland and Wales may differ slightly please check with your Local Authority. In addition, although many of our Garden Rooms are designed to be below the 2.5m maximum height allowance for Permitted Development, allowing buildings to be placed right up against a boundary, please note that we usually need a minimum of 400mm clearance all around our buildings to facilitate assembly and Health and Safety precautions. If you want to put up small detached buildings such as a garden shed, garden room or summerhouse in your garden, Building Regulations (except Part P for Electrical works) will not normally apply if the floor area of the building is less than 15 square metres INTERNALLY and contains NO sleeping accommodation. If the INTERNAL floor area of the building is between 15 square metres and 30 square metres, you will not normally be required to apply for building regulations approval, providing that the building contains NO sleeping accommodation, and is either at least one metre from any boundary, or it is constructed of substantially non-combustible materials. Therefore in general, Garden Buildings do not need to comply with Building Regulations (other than Part P for Electrical works). However, at RUBICON™we believe it is good practice to work to Part A of the Regulations, to provide assurance to our customers that our buildings are not only BUILT TO LAST™ but are also structurally safe and sound. ENGLAND: Wall 0.18, Floor 0.13, Roof 0.13. WALES: Wall 0.21, Floor 0.18, Roof 0.15. The rules for Scotland known as Section 6 Regulations will also change in 2015. 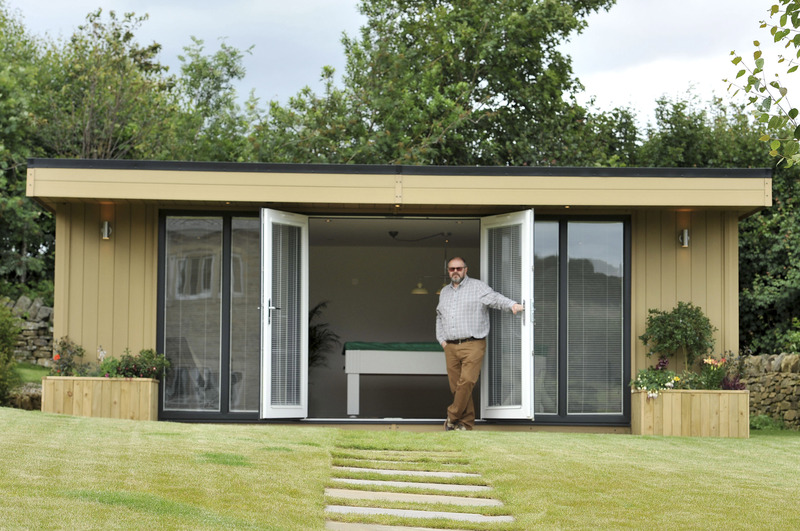 We are constantly reviewing our specifications to ensure that all our Garden Rooms offer the best compromise between cost and operational comfort. Due to the ever increasing costs of complying with the demands of the Kyoto agreement for increased levels of insulation, we have no option but to offer to meet the above targets at an additional cost over and above our standard pricing. As a Guide: The estimated usage of electricity for heating a 12sq metre RUBICON™ Garden Room equates to around £100 per year at 2015 prices. Part P In the case of Garden Buildings Part P applies and any work is notifiable to the Local Authority. Work can be self-certified by an Electrical Installer who is registered as a competent person using a BS7671 electrical installation certificate for every job they undertake, with a copy given to the householder. This is supplied by RUBICON™ where we are contracted to do this work. Consequently, Part P for Electrical installations is complied with in so far as RUBICON™is contracted or otherwise to carry-out either internal or external works, or both as the case may be.